Online dating has become one of the most popular ways of meeting other singles. If you’ve never tried it, now is a great time to start. And if you’re not finding what you want on the mainstream sites, niche dating is a great option for you. 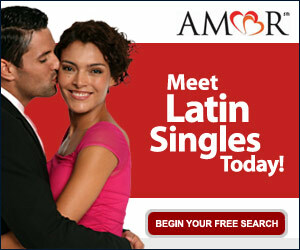 Are you interested in joining a dating site catered towards dating Latino men and Latina women? This is a great option – but keep in mind that many niche dating sites don’t offer as many candidates to search through as the more mainstream, popular sites do. But they do offer a lot of choice for like-minded people. Know what you want. Before you begin using a Latin online dating site (or any site for that matter), focus on what kind of experience you want. Do you want a site with the most Latino men or Latina women to choose from? Are you looking for someone religious, or not religious? Are you open to meeting people in other cities? Are you looking for long-term romance, or just a fling or friendship? These are important questions, and will help you in choosing a site and crafting your profile so you attract the type of men or women you want. Do some research. It’s important to check reviews of different sites, as well as trying them out. Most sites offer a free trial period so you can get a feel for how it works. Some Latin dating sites are not online dating sites but more like mail-order bride sites, so be sure you read the fine print before you pay a lot of money. Post pictures. Most online daters want to see pictures of potential dates before they decide to send an email or communicate in any way. If you don’t post a picture, other daters will assume you’re hiding something – like your age or your body type or whether or not you’re single. Be sure to post a full body shot as well as a headshot. And stick to using photos taken in the past year, not earlier. Don’t be afraid to play up your assets – if you have curves, show them off! Be truthful. When you go through the sign up process on any dating website, they usually ask questions and have you create a brief profile about yourself. Be truthful about who you are and what you want, so there aren’t misunderstandings between you and your dates. If you want to only date Catholics, then say so. If you’re 5’ 4”, then don’t fudge your height. You don’t want to start dating somebody who has the wrong impression of you. Are you branching out? While you might be focused on dating only Latinas from El Salvador or Peru, or Latina women with a certain body or skin type, I suggest you widen your search. While it’s understandable to be choosy and know exactly what you want, sometimes you rule out some great candidates because you’re being too specific in an online search. Why not meet more rather than less people, and see if you connect?